Click an image to open it in a larger format, right-click the larger image (Mac: CMD+Click) to save it. These are print-quality images, so they'll take a minute to load depending on your connection speed; they are also MUCH larger than they'll appear on the screen (the poster is 11" x 17"). 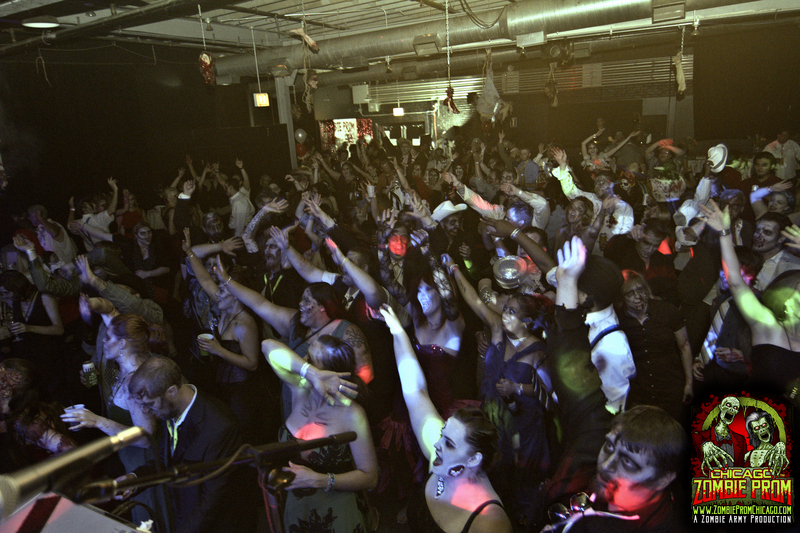 Videos from previous Zombie Prom Chicago events can be found HERE. 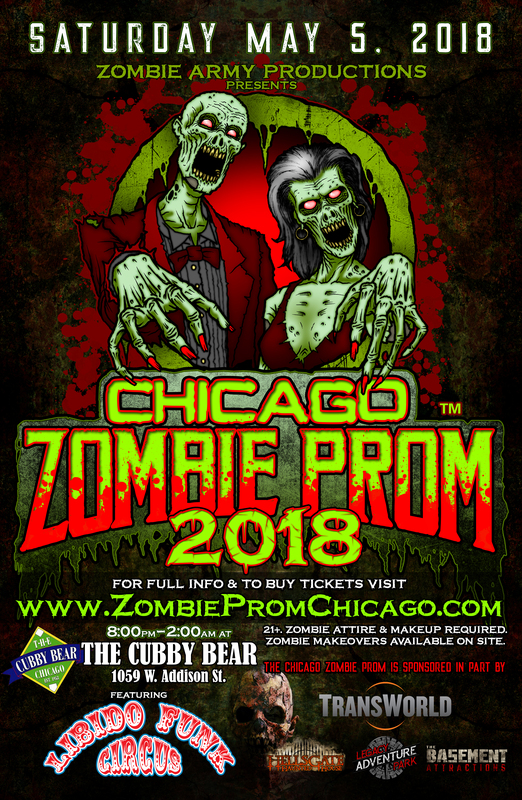 From Zombie Army Productions, Chicago’s largest dark-themed production company, that brings you Statesville Haunted Prison and HellsGate Haunted House, Zombie Prom Chicago is returning to the legendary Cubby Bear on May 5th, 2018! 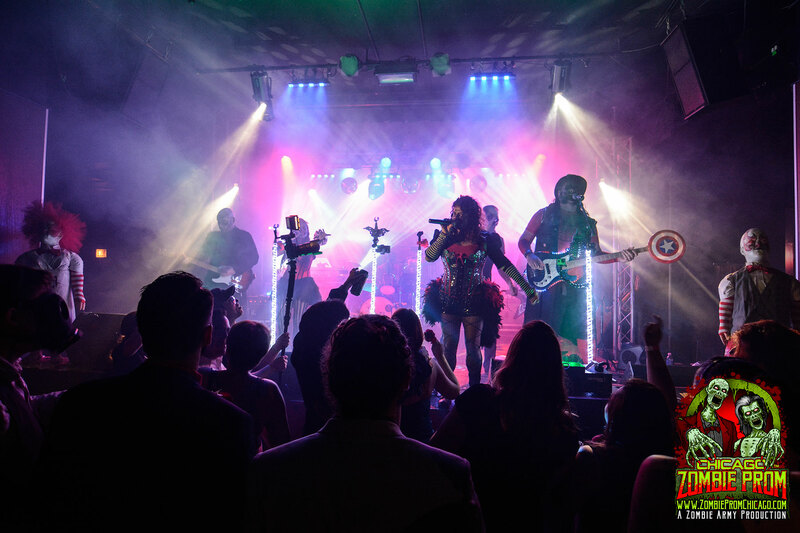 This year Zombie Prom Chicago is bringing back Libido Funk Circus as the live zombie band, guaranteed to animate your corpse on the dance floor all night! Also returning this year to co-host alongside Zombie Army founder John LaFlamboy is Chicago’s favorite maven of the rock airwaves, Lauren O’Neil of WKQX. As Chicago’s #1 Zombie Event, Zombie Prom Chicago is a ghastly, affectionate, cheesy blend of nostalgic high school Americana and the living dead. Zombie attire and makeup are required, but if you do not have your own makeup, zombie makeovers will be available for a $10 donation. 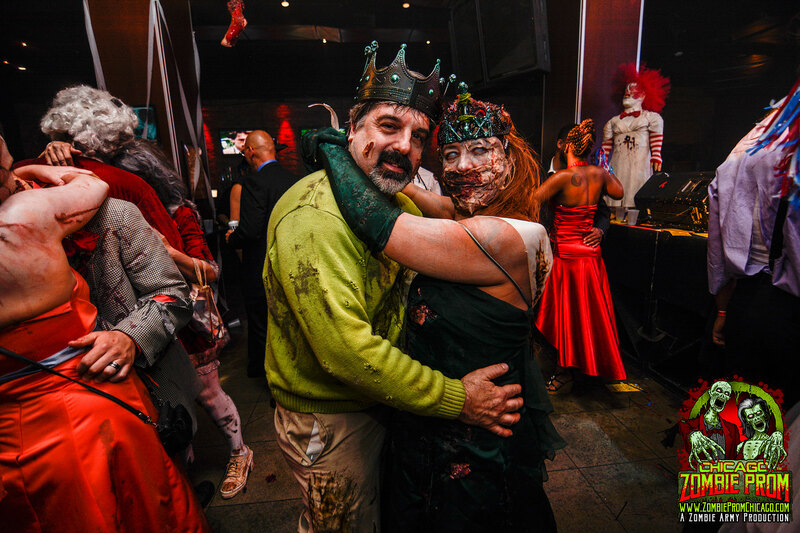 The premiere dark party of the year will also feature a live DJ, ‘finger’ foods (buffet from 8-9:30pm), free photobooth, door prizes and, of course, the Zombie Prom King and Queen costume contest! 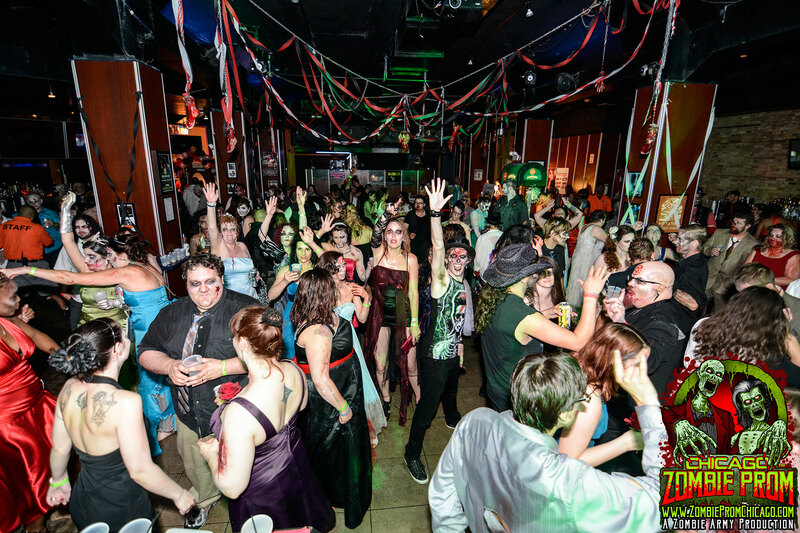 Prizes will be given away throughout the night from Zombie Prom Chicago’s sponsors: TransWorld Trade Shows, Zombie Army Productions, Legacy Adventure Park, HellsGate Haunted House and The Basement Attractions. 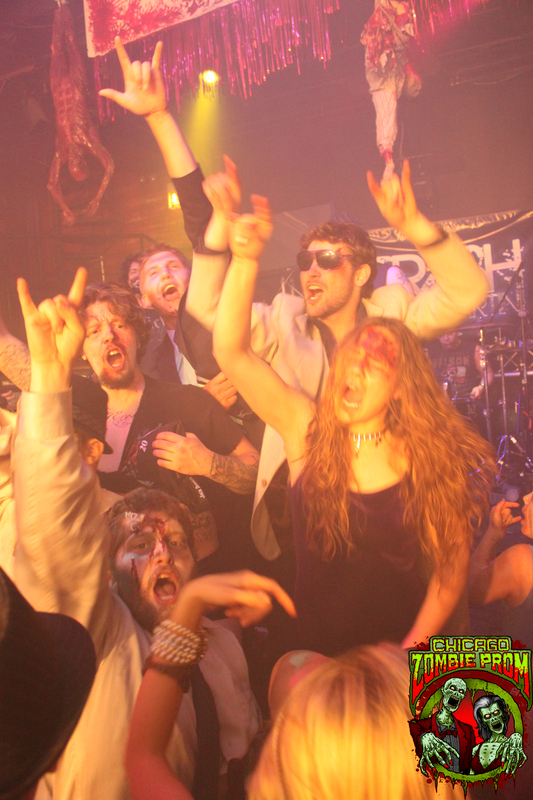 Come party with the Zombie Army and do Prom the way you always wished you could!! 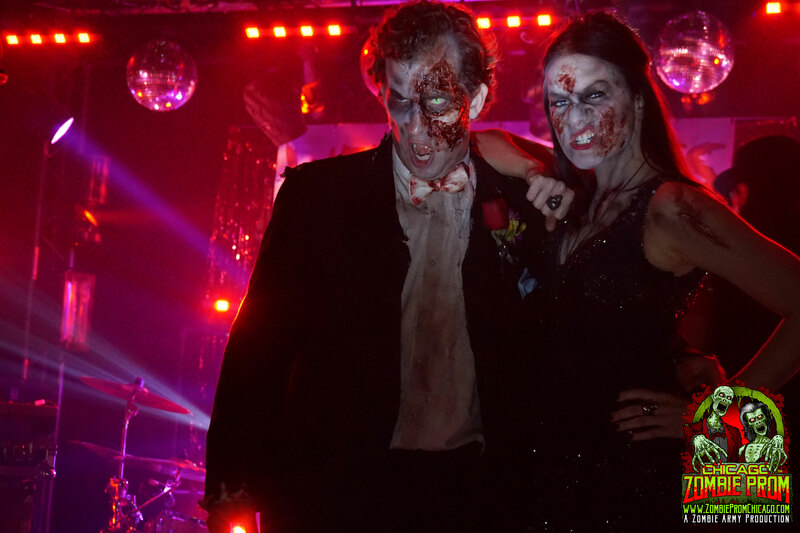 There are special couple's packages available for those zombies looking to add a touch of class to their night - details on each package are available at ZombiePromChicago.com - BUY TICKETS NOW. 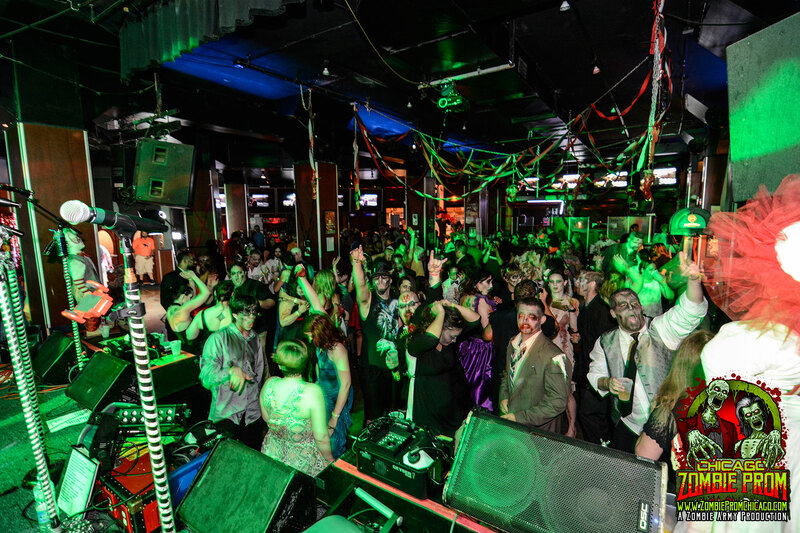 Zombie Prom Chicago is a 21+ event. Zombie Army Productions is Chicago’s largest dark-themed production company, with over 300 members and tens of thousands of fans. The Zombie Army has been bringing the highest production quality to the darkest events for over 15 years, helming a consortium of businesses that stage horror-themed events (from haunted houses to feature films) that keep its audience engaged and educated about all the dark events in the Chicagoland area all year long. 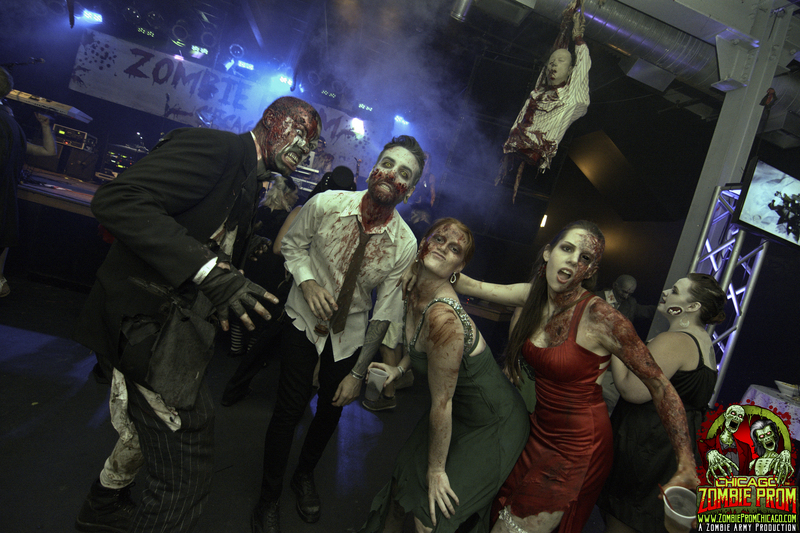 LIKE us on Facebook & join our mailing list to be kept up to date on the latest Zombie Prom news and Special Promotions! 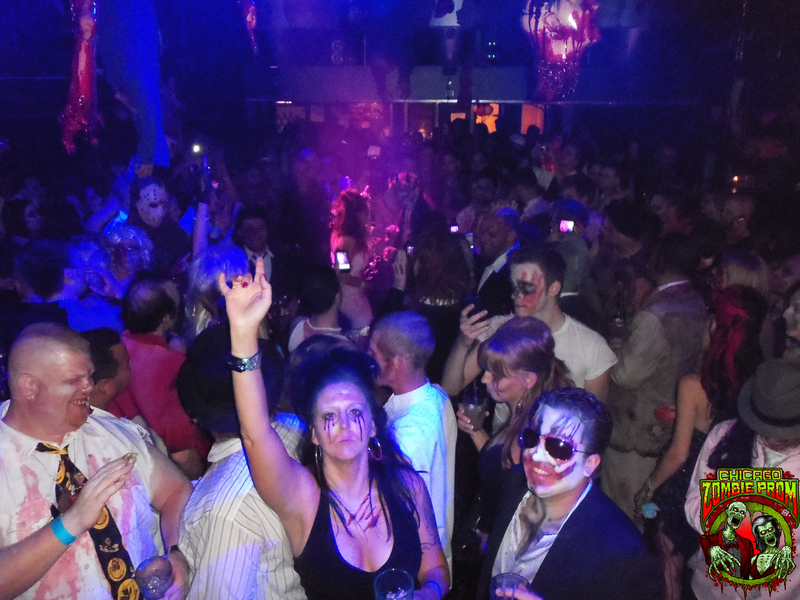 Join the Zombie Army Productions / Dark Chicago email list - get updates about horror, Halloween & haunted happenings in Chicagoland, and win tickets to haunted houses!